Chemical weathering occurs when chemical reactions weaken and decompose rocks, often acting alongside the physical breakdown of rock, aka mechanical weathering. This process involves a chemical change, which actually alters the rock's or mineral’s chemical composition. 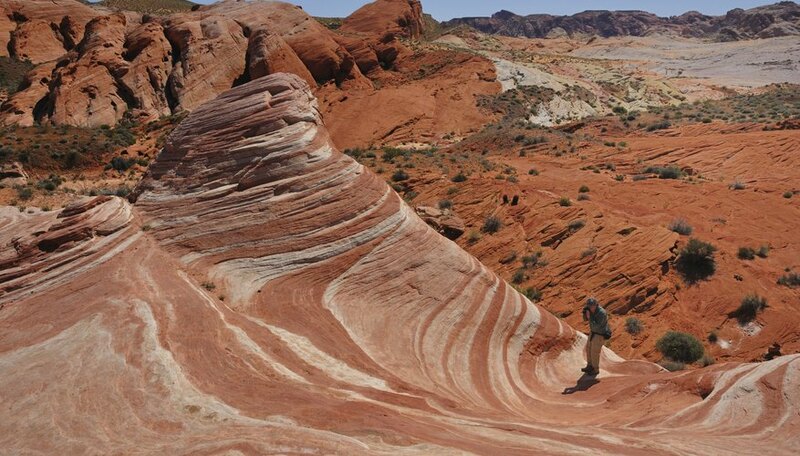 Chemical weathering is more common in wet, humid areas than in dry ones, because moisture is an important component of many types of chemical weathering. Chemical weathering describes processes by which rocks decompose due to chemical reactions that alter their constituent minerals. Five prominent examples of chemical weathering are oxidation, carbonation, hydrolysis, hydration and dehydration. The reaction between rocks and oxygen is known as oxidation. When elements or compounds in rocks react with oxygen and water, they form substances called oxides. One of the most common examples of oxidation is iron oxide, or rust. Rust has a reddish-brown color and soft and crumbly consistency, which makes the oxidized rock more susceptible to other forms of weathering. A change of color from silvery iron to the reddish-brown iron oxide serves as a good indicator a chemical change has occurred. When carbon dioxide in the air dissolves in water, it forms carbonic acid. While carbonic acid is fairly weak, it can cause a form of chemical weathering known as carbonation. For example, calcite is a calcium carbonate mineral made up of calcium, carbon and oxygen. When it reacts with carbonic acid, the calcium carbonate breaks down into its components, calcium and bicarbonate. This type of chemical weathering is particularly important in the creation of karst topography, such as caves and sinkholes. Limestone, which is largely made up of calcium carbonate, reacts with underground water. When the water breaks down and dissolves the rock, caves develop in the space left underground. When the space underground gets too big, the land at the surface can collapse, forming a sinkhole. Hydrolysis describes a form of chemical weathering in which water chemically bonds with rock minerals, generally producing a weaker material. The weathering of feldspar, which turns into clay when it reacts with water, is one of the most common examples of hydrolysis. Water dissolves ions in the feldspar, a mineral often found in granite. These ions react with the water to form clay minerals. Hydration occurs when a mineral absorbs water to form a new substance. 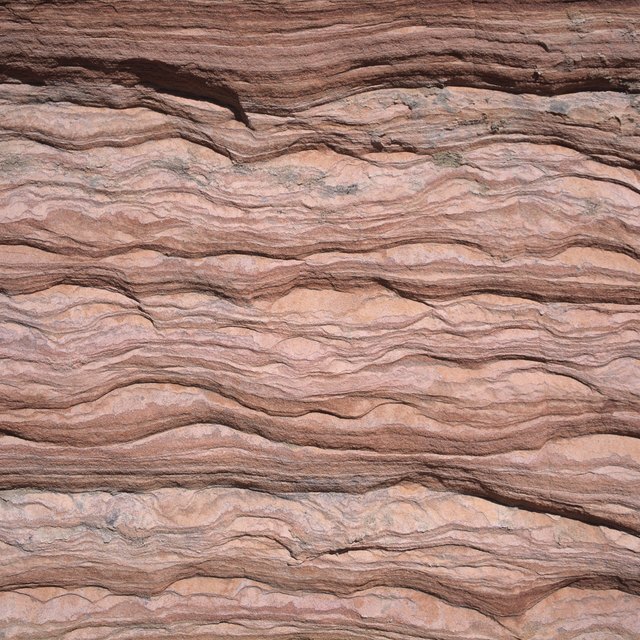 Hydration causes the rock to expand its volume, which can put stress on the rock and make it more vulnerable to other types of weathering (including processes of mechanical weathering). Two examples of hydration include the creation of gypsum from anhydrite and the formation of limonite from hematite. While hydration adds water to form a rock with a new chemical structure, dehydration involves the removal of water from rocks. The addition of water to hematite, or hydration, forms limonite; in reverse, the removal of water from limonite, or dehydration, results in hematite. American Geosciences Institute: What Is Chemical Weathering? Preserve Articles: What Is Chemical Weathering of Rock? Batema, Cara. "What Are Five Examples of Chemical Weathering?" Sciencing, https://sciencing.com/five-examples-chemical-weathering-5627796.html. 20 April 2018.